_AdAstra actively accompanies its portfolio companies towards the capital markets or other means of realizing their value potential. In this process, we see ourselves as a reliable and business-oriented investor. It is our aim to be integrated in the business concept as a genuine partner not only through our capital but also through active involvement, guidance and support. _Our portfolio companies strongly benefit from the inter-disciplinary and international experience of the AdAstra team members. The combination of industry and capital market experience ensures valuable support for a successful development of the portfolio companies during their expansion and growth period. 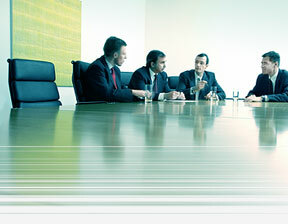 _We provide permanent support for the companies as a sparring partner with active supervisory or advisory board seats. We coach the management teams in various areas such as strategy, corporate finance or investor relations. Further, we support our portfolio companies in optimizing their business model and completing the management team. Through the extensive contact network of AdAstra we establish valuable contacts to potential customers and cooperation partners.